Moving past Newt’s second visit to Doylestown takes me back to 1967–which now seems like a lifetime ago. I was living in Fairfield, California and working at a company called Explosive Technology, Inc., known by its acronym “E.T.”. A search on the internet won’t bring up E.T. because it’s no longer in business. During the mid-60s through early 70s this R&D manufacturing company, located on the grounds of a dismantled Nike missile station, contracted with NASA and the Defense Department. A product they delivered to the Defense Department was an explosive device that ejected the pilot’s cockpit seat thereby parachuting him safely to the ground. E.T.’s contributions to the space industry are lost among America’s Right Stuff legacy about the first manned flight brilliantly celebrated in the film of the same name. E.T. designed and manufactured an explosive cord that separated the Saturn rocket stages as they blasted into space. I was among millions who remember being glued in front of our TVs during the July 29, 1969 Apollo Space Program’s first successful Moon landing. Having worked at one of several sub-contracting companies that produced this historical technology, it was thrilling television. There they were–two American Astronauts bounding weightlessly across the Moon’s gravity-defying surface. Some of our Moon hardware did not return to the circling Mother Ship. 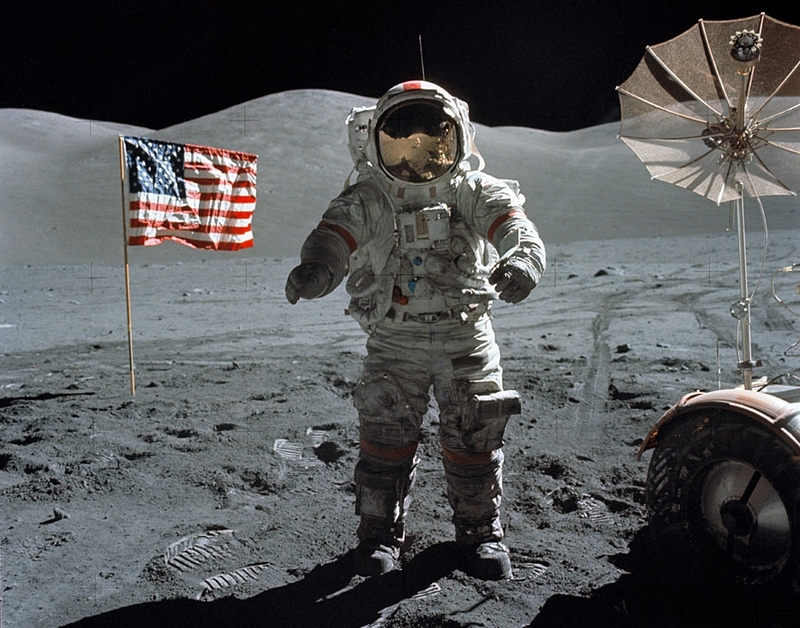 Besides the American flag that they firmly planted into Moon’s silky soil also left behind were pieces of discarded materials no longer useful but critical during the Astronauts’ lunar survey experiments. My best friend who also worked with me at E.T. often joked how the USA was the first country to leave Trash On The Moon. Newt’s empty vision of a USA Moon colony never happened. Yet I still get excited when the media announces new discoveries from outer space. Our space explorations and technology continue to bring breathtaking photographs from our solar system including those explosions happening on the sun, along with those craggy craters, dry river beds and mysterious images transmitted back to Earth from moons circling those far-away planets beyond Mother Earth. NASA predicts Lunar excursion rovers will be dropped on the moon by 2020. Not sure if I’ll be above ground to witness those images. But–I remain hopeful that China and Russia–already with their own flags planted on other parts of the Moon will not start a ‘conflict’ up there. May Science and Technology Always Be With Us.